Three performers. Three positions. Three colours. 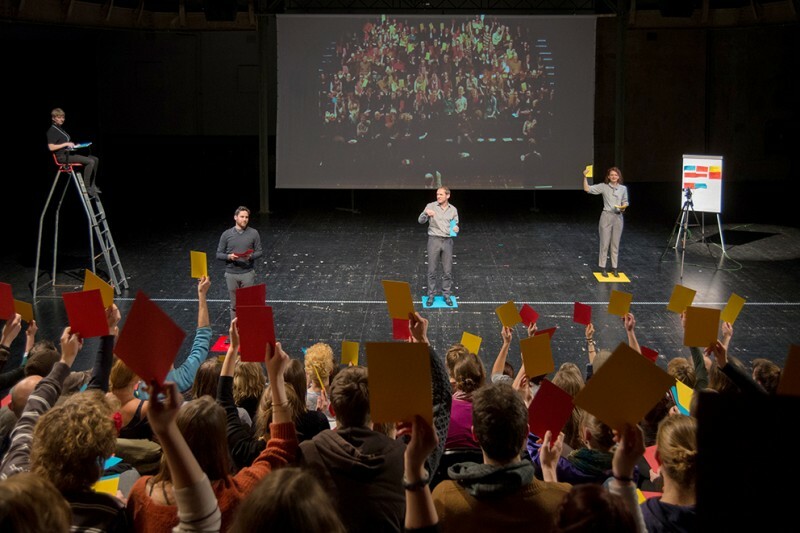 In ThAEtrocracy (ThAEtrokratie), the audience chooses which performer, which position, which colour the future of theatre should be. 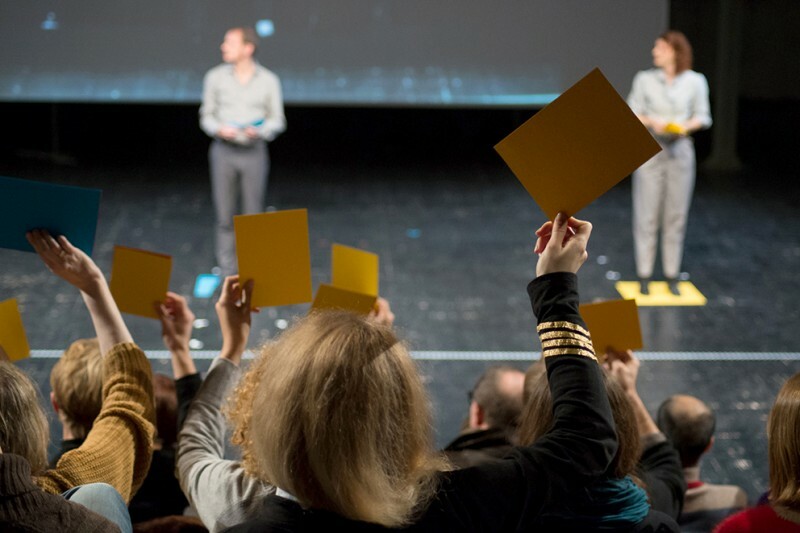 A relentless choice of theatre forms, with different outcomes every evening, which poses the question: How democratic is the future? Under what conditions do we make our choices? ThAEtrocracy (ThAEtrokratie) was produced as part of our evening ThAEtre Machine. An evening dedicated to the future of theatre. The operetta is an ambiguous genre between high and low culture, between entertaining nonsense and cultural criticism. Karl Kraus loved it, Adorno hated it. Interrobang continues this battle and checks how fit for the future this lost genre might be. 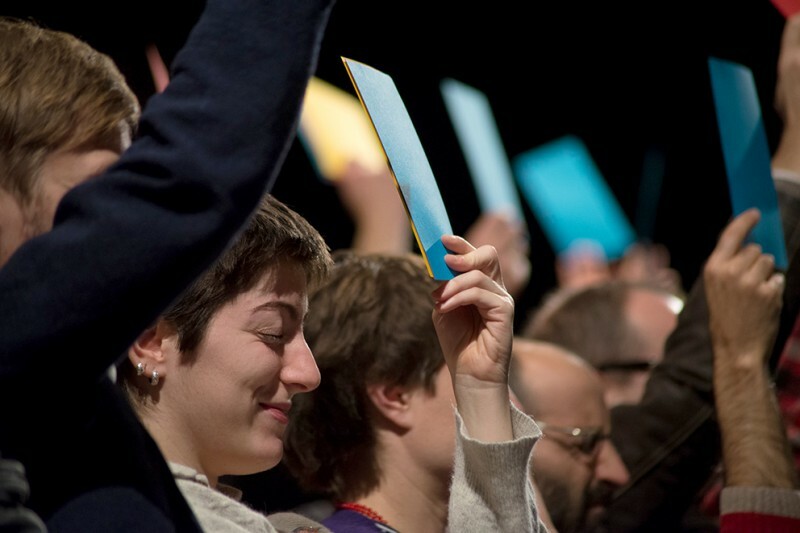 The audience will prove it: using live-voting they determine the future of the operetta. Performance meets Operetta. Singing guaranteed. 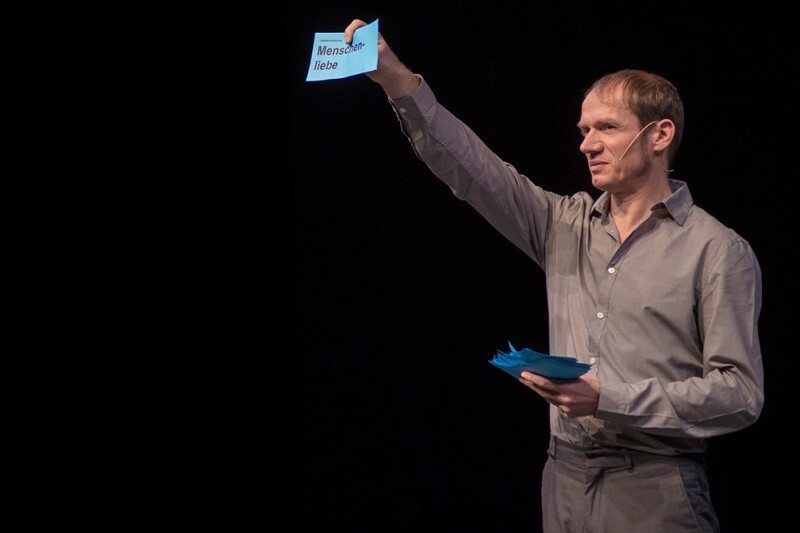 Operettacracy is a collective research about the future of the operetta. 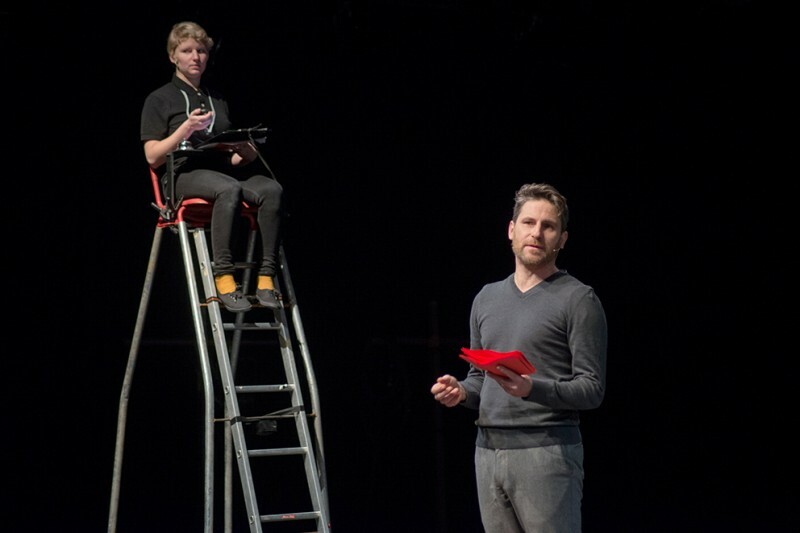 The project was realized as part of the Operettensymposiums at Komische Oper Berlin. Co-produced by SOPHIENSÆLE. Funded by the Doppelpass Fund of the German Federal Cultural Foundation. Special thanks to our media partner taz.die tageszeitung. 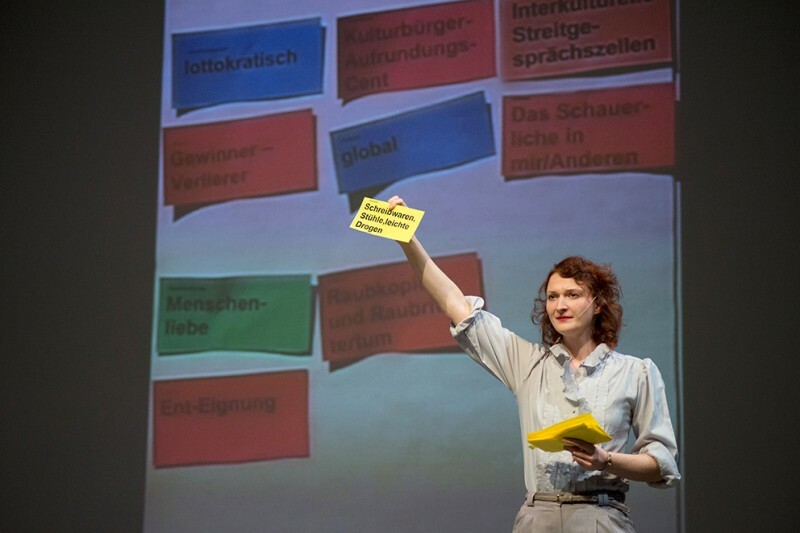 A co-production with Komischen Oper. 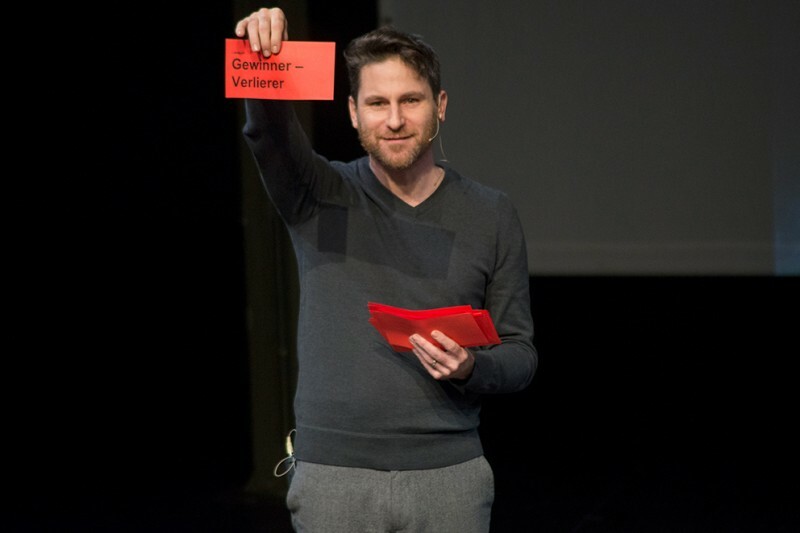 The Operettensymposium was realized in cooperation with the University of Chicago, Universität Erlangen-Nürnberg and the international magazin The Opera Quarterly. Funded by Rudolf Augstein Stiftung and Peter Dornier Stiftung.